These beautiful spring wildflowers appear in a variety of colours including red, purple and lavender. The Criown Anemone is native to the Mediterranean region of Europe, but because of its beauty this lovely wildflower has been taken in to cultivation and can be seen in parks and gardens in many other parts of the world. 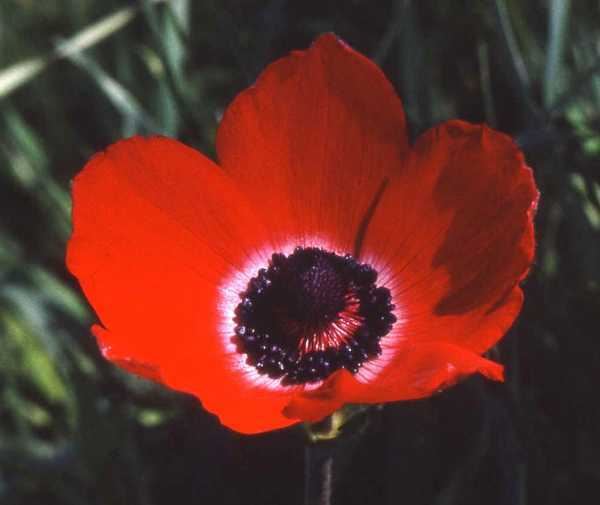 In 2013 Anemone coronaria was chosen as Israel's national flower. 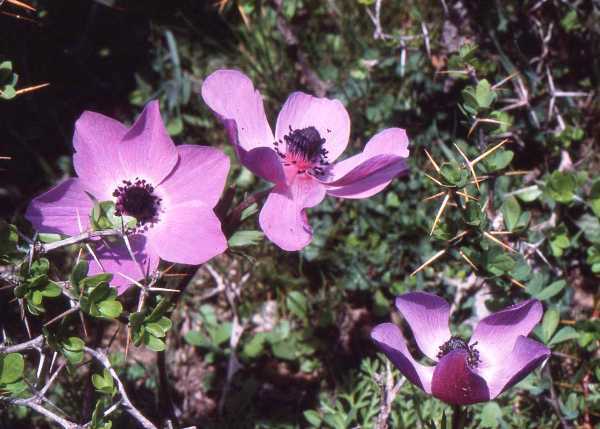 Anemones generally shun dry places, and so woodland edges and damp grassland are places where these kinds of flowers are most likely to be seen. 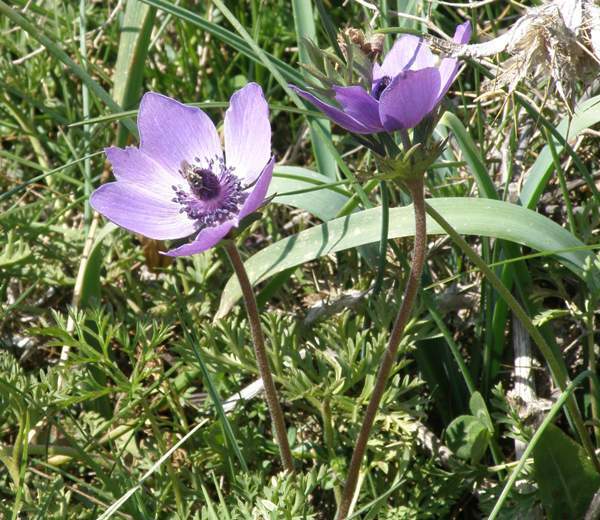 Anemone coronaria blooms from January to April and can be found on roadsides, meadows and the grassy slopes in the hills. The Crown Anemone Anemone coronaria is the most common of the many anemone species that occur in the Mediterranean region of Europe, where they are frequently grown in gardens as well as being found in the wild. Anemone comes from Greek and literally means 'daughter of the wind', although many other explanations have been put forward as the intended meaning of the name Anemone. The specific epithet coronaria refers to a crown - the glorious ring of petals in the case of Anemone flowers. 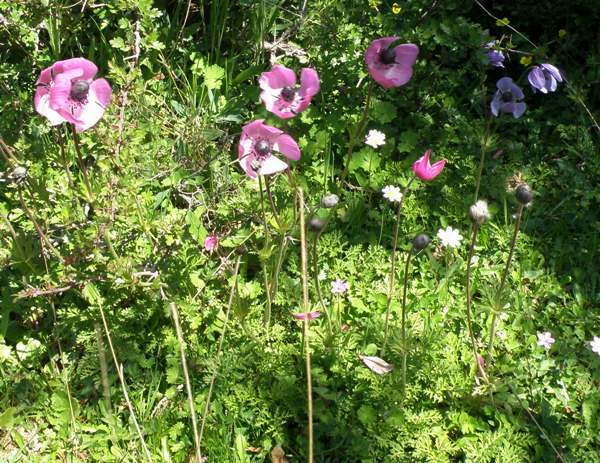 The wild Crown Anemones shown on this page were photographed in Crete during April.